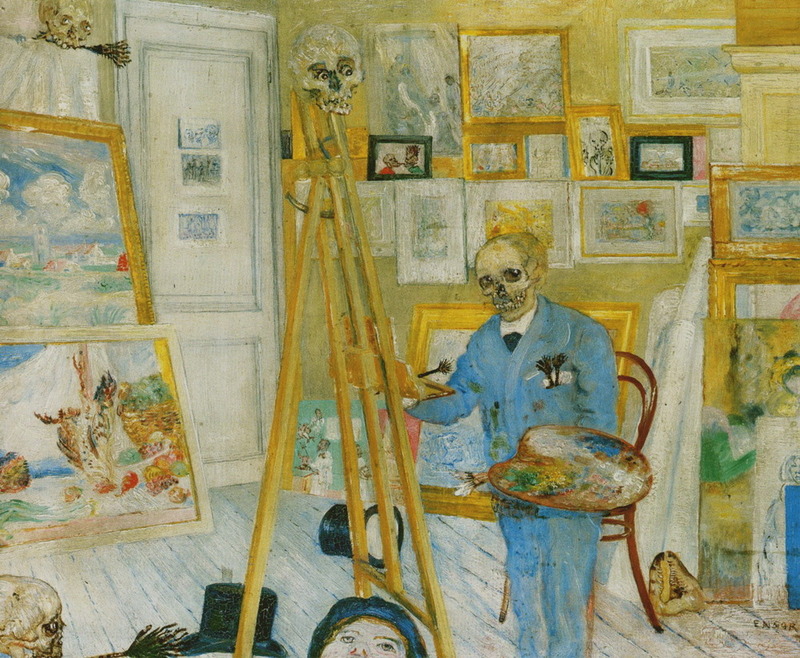 Exhibition: James Ensor in Context | IKIMASHO! 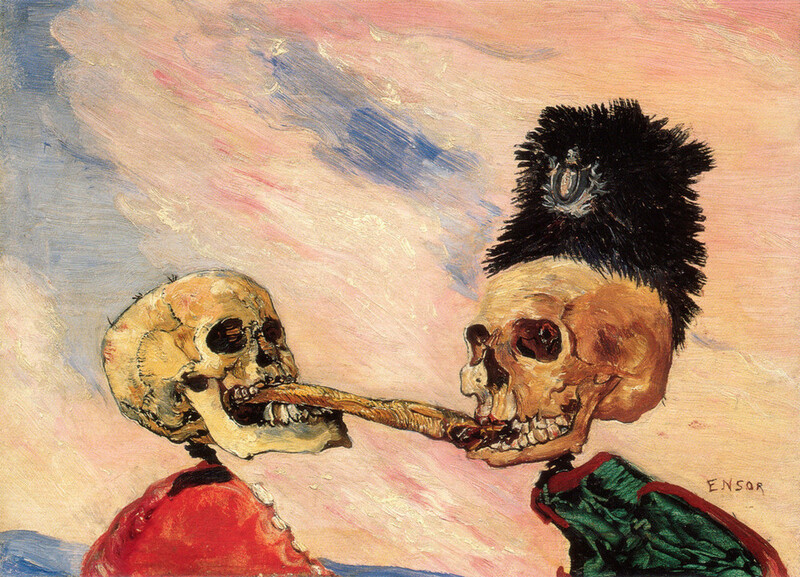 Any artist who can dream up a painting titled “Skeletons fighting over a pickled herring” gets my vote. It’s like some twisted, traumatic vision I would come up with – yet even more impressive since it came from the mind of a Flemish-Belgian printmaker in 1891. 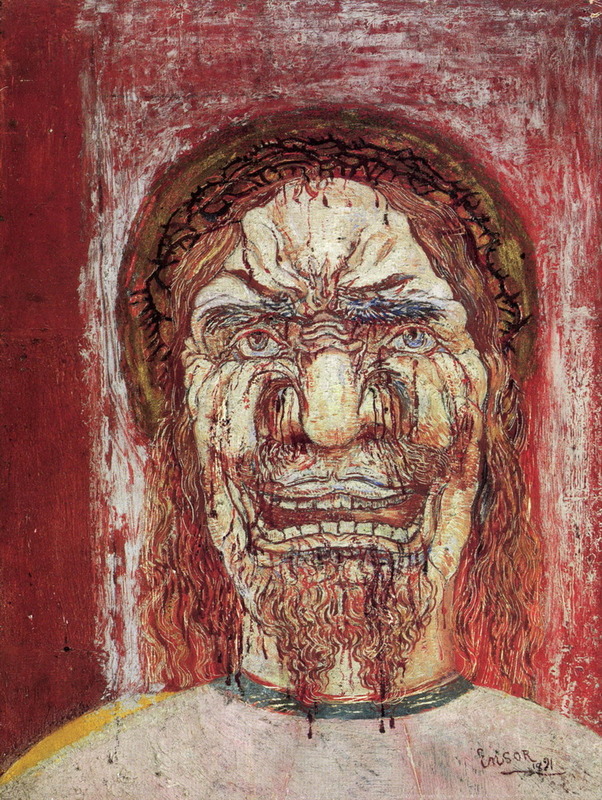 I’ve been drawing a lot of messed-up stuff myself lately, so a visit to the James Ensor exhibition in the Sompo Japan Museum of Art couldn’t have come at a better time. 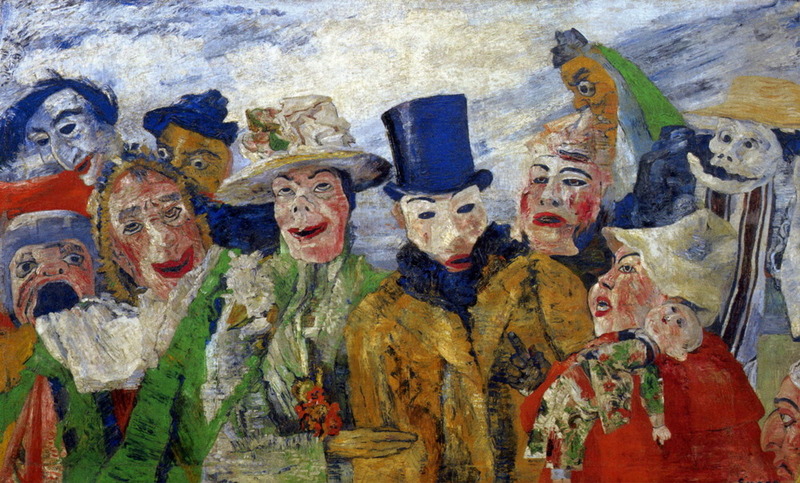 Influenced by Hieronymous Bosch, Ensor’s best paintings depict violently grotesque visions of carnivals, masks, puppetry and skeletons. And while I did love a good lot of his stuff, I was left just as confused by a similar amount. It seems he wasn’t able to make up his mind about what kind of artist he wanted to be. The collection is torn between realism and mysticism: traditional still-lifes sit beside surreal images of insanity. It was such a contrast that at times I found myself glancing over to the exhibit labels to double-check it was in fact the same artist who had drawn both. It almost felt like two exhibitions, and it didn’t quite flow right. 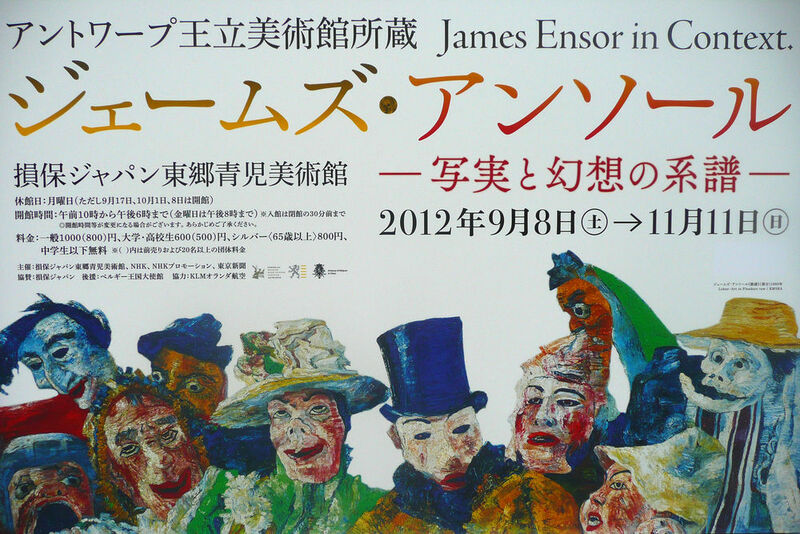 James Ensor in Context runs at the Sompo Japan Museum of Art until 11 November. Central banks do not normally reach their objectives.